Joining me today is John Paul Davis, author of The Templar Agenda, an action-packed thriller, and also two non-fiction books, Robin Hood: The Unknown Templar and Pity for the Guy – a biography of Guy Fawkes. Pauline: Was being a writer something you always wanted to be? How did you get your start? John Paul: When I was at school, I used to love writing stories. I’ve always had an extremely vivid imagination and never struggled to come up with ideas. Sadly, I never saw anything through back then, but I did enjoy English literature, particularly having to write a story based on some sort of theme – mine always seemed to be about pirates. Growing up I never believed I would be a professional writer, though it had always been a dream. Throughout my childhood I often enjoyed reading books with an adventurous protagonist and found it easy to imagine their work as though I was watching a film. When I graduated from university I knew I wasn’t cut out for the corporate environment. I graduated at a time when it was becoming harder and harder to walk into a great job – now it’s almost impossible. For that reason, I decided I wanted to follow my dream. Early 2007 I began writing a novel based on an idea I’d had since the late ‘90s. It was awful, but the process had a huge effect on me. Also, as fate had it, during the research I came up with an original thesis on Robin Hood. I submitted it to 7 publishers and 1 came back straightaway with real enthusiasm. The book was contracted and I spent six months writing my first work of non-fiction. John Paul: I have 3 books out at the moment: 2 are non-fiction and 1 fiction. 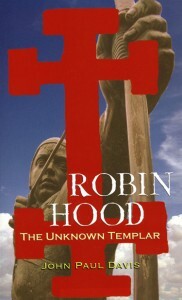 The non-fiction are both histories: Robin Hood: The Unknown Templar (Peter Owen 2009) is my theory on Robin Hood; Pity for the Guy – a biography of Guy Fawkes (Peter Owen 2010) is the first ever full length biography of Guy Fawkes. I have also released my first thriller, The Templar Agenda, as an e-book. Pauline:Your books seem to have a lot of historical content. Have you considered working in other genres? John Paul: Although The Templar Agenda was definitely history related, for me the politics and banking themes were of equal importance. My degree was in Business Economics and Finance and I used to work for the British Ministry of Defence so neither aspect is totally alien to me. History is my first love, but I do plan to write other thrillers that take on a more political or financial theme. That said, the past is always important to a plot. Pauline: For The Templar Agenda, how much research did you need to do for the historical aspects of the story? John Paul: A lot. Off and on it took 5 years to write, edit and proofread, and even when I was writing and editing I never really stopped reading. While some of the research was quite intense, some was just reading books on conspiracy theories and other non-fiction books. Also, I watched a lot of documentaries, both on TV and online, which were of great interest. I think, all in all, most of the research was for the more modern bits rather than the historical. John Paul: I’m guessing sand. Pauline: Okay, let me rephrase. What’s your favourite food? John Paul: Unfortunately I’m something of a carnivore so anything that comes from a cow or a pig. I love almost any kind of steak. I guess if I were on a deserted island I could learn to spear fish. That’d work for me. John Paul: Until July, I’ll be concentrating on my next non-fiction book, an historical biography of King Henry III of England. King Henry was the longest reigning king of what was once the Kingdom of England, which comprised England, Ireland and parts of France (in later years the 60-year reign of George III surpassed him but his reign came after the fall of the French fiefs and unification of Great Britain). He was the king who first had the Magna Carta inflicted on him – his father John annulled the Runnymede Charter almost immediately and died in the subsequent war. His reign was also complicated by war with Wales, France and rebellion from his own barons. Away from the conflict, he was at the forefront of the construction or development of many great castles and gothic cathedrals, including Westminster Abbey. As soon as Henry III is finished, I’ll be finishing off my second thriller. Pauline: Do you write every day or on a set schedule, or just when the muse strikes you? John Paul: I write pretty much every day. Every now and then I’ll have a day off, but even then I’m usually thinking about something random. I always keep notebooks on hand, just in case the muse does strike. To be fair to the lady she stays in pretty regular contact. Pauline: For your fiction, do you plot everything out or are you a “pantser”? John Paul: No, I plot everything; in fact I try to imagine the entire story in my head first. Obviously when you’re writing and in flow the story can take on a world of its own, but I always try to figure out where I’m going. Only then can I be sure I’m on track to meet my objective. If you fail to plan, you plan to fail! Pauline: Do you have an agent and/or publisher or have you gone the self-published route? John Paul: A little from column B and a little from column C. My non-fiction work has been published in the traditional way and the Henry III book is also contracted to come out with the same publisher: Peter Owen Publishers. 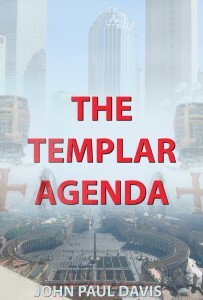 The Templar Agenda I released as an e-book. I did submit the first three chapters to about 40 or so agents in the way the writers’ and artists’ yearbook suggests, but the responses were pretty standard. A couple of agents were kind enough to say that they liked it but didn’t know where to place it. Since its release it’s been in the top 20 e-books in the UK and in the top 5 thrillers, so, you tell me. John Paul: The non-fiction is available in print; The Templar Agenda for now is just on kindle. My publisher is targeting 2012 releases for The Unknown Templar and Pity for the Guy on e-book, which is great news. As a reader, I do like kindle a lot, and I really love the indie process. Indie writers are able to produce real writing. Most write for love, not money. There is no interference or contamination. No industry politics. As a reader, I’m really starting to love e-books. It’s not only great to be able to download something and not have to wait for Royal Mail, but to have so much on something so little. That said, I love holding a book and enjoy collecting them. John Paul: Yes. No matter how good you are 2 things are certain: Rejection and criticism. Neither can be avoided, but neither should be feared. Anyone can write a book, but some people write because they think it’ll make them rich or famous. Do that, you’re 99% certain to fail – and even if you succeed you probably won’t enjoy it. Write because you feel a need to and keep going. Benjamin Franklin said it best: ‘energy and persistence conquer all things.’ It might take a while, but persevere and keep true to yourself and I think you can have a great life. John Paul: I love to read, particularly thrillers and histories. In similar vein I love watching films and documentaries. I love travelling; I think had I been alive five hundred years earlier I’d definitely have been off trying to discover the unknown. I love the past and thoroughly enjoy visiting castles and other places of interest. I have a very active imagination and I try to stimulate it: I’m very bad at just sitting around and doing nothing. I love being out and about; I’m very sporty and often work out. I also love watching sport, particularly football, rugby league, and American football. My author pages at Amazon UK and Amazon US. 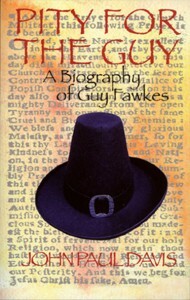 My second work, Pity for the Guy, is the first full length biography of Guy Fawkes and was featured on The Alan Titchmarsh Show in November 2011. My first novel, The Templar Agenda, has been ranked in the top 20 bestsellers on Amazon UK. It has also been #4 in UK thrillers and has so far spent over 3 weeks at #1 in religious fiction. It has also been #75 in religious fiction in the US. As mentioned, I am currently working on my second novel, another thriller, and third work of non-fiction, a biography of King Henry III of England. I have worked for the Ministry of Defence and I have a BSc in Business Economics & Finance from Loughborough University. I live in Warwickshire. John Paul, thank you very much for taking the time to join me today, and a huge thank you to everyone who visits!! This entry was posted in Interview and tagged book, ebook, history, interview, john paul davis, non-fiction, thriller by Pauline. Bookmark the permalink.